There were 693 press releases posted in the last 24 hours and 153,585 in the last 365 days. 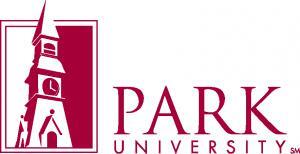 PARKVILLE, MISSOURI, USA, November 1, 2018 /EINPresswire.com/ -- Following a nationwide search, Park University has announced that Michelle (Shellie) Myers, Ed.D., has been appointed provost of the University, effective immediately. 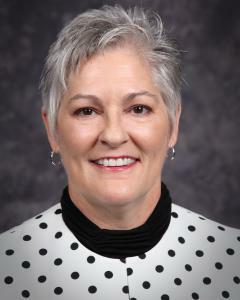 Myers, who has served as the University’s interim provost since May 2017, joined Park in July 2010 to serve as dean of the School for Education. At the start of the 2016-17 academic year, Myers became dean of the newly created College of Education and Health Professions, a role she held until becoming interim provost. “I am excited to have Dr. Myers as our new provost as her focus on student success and innovation, and her demonstrated commitment to the University will empower her to lead from day one in this critical role,” said Greg Gunderson, Park University president. As provost, Myers serves as the University’s chief academic officer and is responsible for faculty development, student assessment and support, and curriculum and compliance. In addition, Myers will provide creative and strategic leadership with a focus on maintaining academic excellence and fostering academic innovation across Park’s 42 campuses across the country and online, while ensuring that quality academic programs are delivered consistently. Prior to joining Park, Myers served administrative stints as associate dean, assistant dean and acting assistant dean in the Division of Education at Queens College, the City University of New York, as well as interim associate dean of the College of Education and Human Services at the University of Central Missouri. In addition, she served as an assistant professor, then associate professor at UCM, and as assistant professor at Southeast Missouri State University. During her time at QC-CUNY, Myers served as coordinator of the National Council for the Accreditation of Teacher Education. Myers earned a Doctor of Education degree in curriculum and pedagogy, and a Master of Education degree in teaching physical education, both from the University of Arkansas. She received a bachelor’s degree in psychology from Western Kentucky University. Myers resides in the Northland (Kansas City, Mo.) with her wife Kim and their daughter. She enjoys spending time with her family, gardening and outdoor activities.